Cody Bellinger hit a two-run home run and Chase Utley went 2-3 with two RBIs’ as the Dodgers beat the Pirates 5-2. 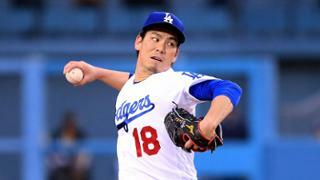 However, the star of the show was Kenta Maeda, who pitched 8.1 innings and allowed two earned runs on Wednesday night. Maeda took a three-hit shutout into the eighth inning but allowed a leadoff single to Josh Harrison, then a home run to Francisco Cervelli. Maeda then struck out Andrew McCutchen for the first out before Dave Roberts came with the hook. The Dodgers provided early run support for Maeda with three runs in the first inning. With two outs, Justin Turner walked, bringing Bellinger to the plate with a man on and two outs. Chad Kuhl threw a fastball away and Bellinger hit it over the wall in left-center for his first opposite field home run. Yasmani Grandal then singled and Chris Taylor walked. This brought Utley to the plate with two outs. With a 2-2 count, Utley lined a sinker from Kuhl into left field for a base hit. Grandal scored and Taylor drew the throw and was tagged, but Grandal had scored first, giving the Dodgers a 3-0 lead in the first inning. The Dodgers added another run in the fourth inning to extend their lead to 4-0. Grandal led off with a single, then Taylor grounded into a forceout, replacing Grandal at first. With Taylor running on the pitch, Utley pulled a fastball to right-center field. The ball landed on the warning track then bounced off the wall and over the head of Gregory Polanco. Taylor scored and Utley stopped at second with an RBI double. In the eighth inning, Corey Seager doubled, then Taylor walked before Bellinger grounded into a forceout, sending Seager to third. Grandal then stepped up to the plate and got a fastball that he pulled down the right-field line for a double. Seager scored and Bellinger stopped at third, giving the Dodgers a 5-0 lead. In addition to his two-run home run, Cody Bellinger made a five-star catch in left field. According to Statcast, there was only a 6% hit probability. He covered 48 feet in just 3.2 seconds to make the catch, robbing Gregory Polanco of extra bases. With Cody Bellinger playing in left field to replace Andrew Toles, who suffered a torn ACL on Tuesday, Chase Utley got a rare start at first base. Utley had a pair of hits and two RBIs in his first multi-hit game of the season. Through April 24, Utley was hitting just .036, since then he’s 5-22. Hyun-Jin Ryu will make his return from the DL after suffering a left hip contusion. He will take the mound for the opener of a four-game series against the Rockies. Left-hander Tyler Anderson will pitch against the Dodgers. Cody Bellinger will most likely be in the starting lineup which means that we should see a lot of home runs from the kid during the series. Game one will start at 7:10 pm PT and be televised on SportsNet LA.